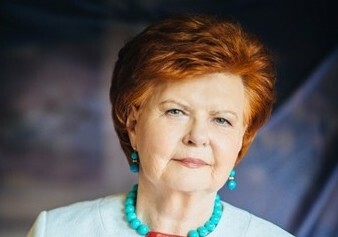 Vaira Vike-Freiberga, former president of the Republic of Latvia (1999–2007), and current president of the World Leadership Alliance/Club De Madrid, has joined Barrett, The Honors College at Arizona State Unviersity as a scholar-in-residence under its Distinguished Global Leader Series. From late-January through March, Vike-Freiberga will be the featured speaker at a series of large campus events and guest lectures in Barrett Honors courses. She also will meet with Barrett students in small group formats to discuss current events and her experiences as a global leader. See a schedule of her appearances on the Barrett website. “The faculty, students and staff of Barrett, The Honors College warmly welcome Dr. Vike-Freiberga, and her husband, Dr. Imants Freibergs, to Tempe and Arizona State University and extend our gratitude to her for her time and efforts in sharing her immense knowledge and expertise with our students and faculty,” said Mark Jacobs, dean of Barrett, The Honors College. Vike-Freiberga has an interesting and extensive biography, filled with service to her country and activities on the world stage. She played an instrumental role in achieving membership in the European Union and NATO for her country and raised the nation’s recognition in the world through her international activities. She was appointed special envoy on United Nations reform in 2005 and was an official candidate for the post of UN secretary general in 2006. Since the end of her presidency in 2007, Vike-Freiberga has been solicited as an invited speaker on social issues, moral values, European historical dialogue and democracy. In December 2007, she was appointed vice-chair of the Reflection Group on the long-term future of Europe. In 2011–2012, she chaired the High-Level Group on freedom and pluralism of the media in the EU. Since 2014, she has been president of the Club de Madrid, which has a membership of over 100 democratically-elected former heads of state and government. In 2015, she was a member of two High-Level Groups on European security and defense. In 2016, she was a member of the High-Level Independent Team of Advisors to the UN Economic and Social Council Dialogue on UN development. Born in Riga in 1937, and having left Latvia as a child refugee, Vike-Freiberga started schooling in a refugee camp in Germany in 1945, continued in French Morocco, and pursued higher education in Canada. In 1965, she received a doctorate in experimental psychology at McGill University in Montreal. Vike-Freiberga emerged as a prominent spokesperson on politics and science policy while a professor of psychology and interdisciplinary scholar at the University of Montreal (1965–1998). She returned to her native country in 1998 to head the Latvian Institute. Less than a year later, she was elected president by the Latvian parliament and re-elected in 2003. 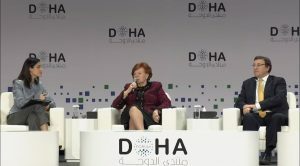 Vike-Freiberga is a member, board member or patron of 30 international organizations, including the World Leadership Alliance (president), the Board of Trustees of the Nizami Ganjavi International Centre (co-chair), the Global Leadership Foundation, as well as five academies, and an honorary fellow at Wolfson College, Oxford University. She has been awarded 34 Orders of Merit (first class) and 19 honorary doctorates, as well as many medals, prizes and honors, for her distinguished work in the humanities and social sciences. She has published 15 books and authored more than 200 articles, book chapters, reports, and audiovisual materials. See what Vike-Freiberga has to say about global politics, her role as president of Latvia, an encounter with Oprah Winfrey and other topics in this Q&A.